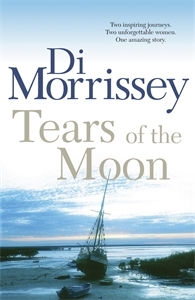 Tears of the Moon is the spellbinding prequel to Kimberley Sun from Australia's favourite storyteller with new novel Arcadia out now. Two inspiring journeys. Two unforgettable women. One amazing story. Broome, Australia, 1893: It's the wild and passionate heyday of the pearling industry, and when young English bride Olivia Hennessy meets dashing pearling master Captain Tyndall, their lives are destined to be linked by the mysterious power of the pearl. Sydney, Australia, 1995: Lily Barton embarks on a search for her family roots which leads her to Broome. But her quest for identity reveals more than she could have ever imagined.